Love it or hate it (personally we are excited), Ghostbusters is coming back! 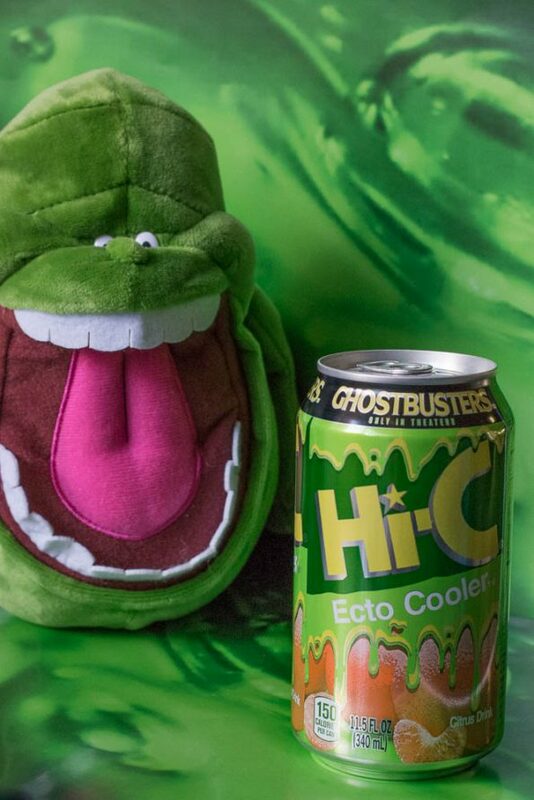 Along with the movie, Hi-C has brought back their cult hit, Ecto Cooler! Hi-C Ecto Cooler became a pop culture icon as far back as 1987 when it was released as a tie-in with the original Ghostbusters movie. Due to its popularity, it was kept around for more than a decade. Sadly, it was discontinued in 2001. 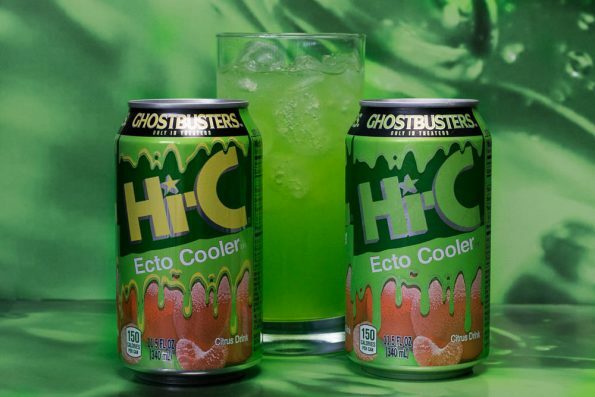 For an undisclosed amount of time (we will update this if we get a concrete date of discontinuance) Hi-C Ecto Cooler will be sold in 10-packs of 6-ounce juice boxes and in 6- and 12-packs of 11.5-ounce aluminum cans. The cans are specially printed using thermal ink that turns an eerie shade of slime green when the product inside is cold. Thanks to Amazon and our Prime membership, we were able to get our hands on the aluminum can 12-pack. Sadly, we were unable to find the juice boxes which was what we really wanted. Color change can is pretty neat and fairly subtle. Still tastes close to the original (a bit more lime flavored than we remembered but it has been a long time). Great on its own or as a mixer (perfect for us grown up 80s kids). Its not readily available in stores (at least on the West Coast). We were unable to get juice boxes. We were so excited to get a hold of Ecto Cooler that we didn’t really consider what we would do with an entire case after we reviewed it. Then it came to us! A cocktail! Stay tuned because this week’s 5 O’Clock Friday is going to feature a recipe using Ecto Cooler! What are some of your favorite memories of Ecto Cooler (we loved getting it in our lunch boxes)? Leave your comments below or use the hashtag #GeekEats. Thanks for stopping by! 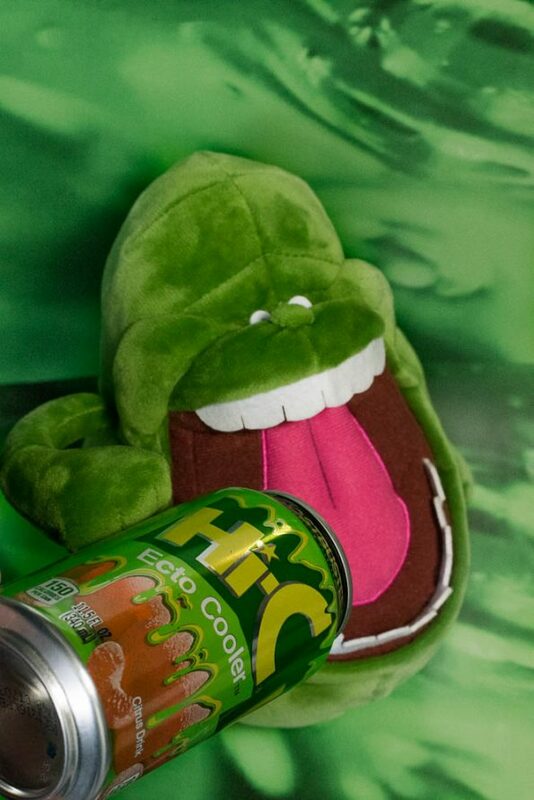 There will be a cocktail recipe using Ecto Cooler tomorrow! !